One of the lessons of the Archibald prize is that it’s impervious to criticism. That’s not to say that the winner or the finalists, the hang or the publicity can’t be criticised, but rather it’s the prize itself as a cultural institution that’s beyond criticism. Criticism of the prize along aesthetic lines, say that the heads are too big or that too much of it is obviously based on photography, or along political lines, arguing for percentage-based gender representation, rather miss the point: the Archibald rolls on decade after decade doing not much more than reflecting the taste of the Art Gallery of New South Wales trustees who have the fun job of picking a winner from hundreds, sometimes thousands, of entries. What is forgotten is that on occasion, that taste happens to coincide with popular sentiment, and when that happens we have a slam dunk prize that taps the zeitgeist – and in flood the crowds to the show. When the trustees’ choice goes against popular mood, brave and occasionally brilliant works can win, and push the limits of what the prize can be. The winner of the 2016 prize is Louise Hearman for her modest portrait of Australia’s most famous expat, Barry Humphries. I would have thought that Hearman’s subject would have disqualified her picture from contention since Humphries is such a tired subject – two portraits last year, six in total going back to John Brack’s painting of Dame Edna in 1969. And while I have been a fan of Hearman’s strange and moody painting for many years, this one is going to take some getting used to. The looming half-figure of Humphries, the underpainting peaking through, and the corpulent face makes me think of those stories of people being bitten in half by sharks, their dead trunks and heads floating like a cork in the sea. As a winner, this seems like the trustees hedged their bets – it’s of a popular figure, but by an artist who has adapted her usual technique into the realm of portraiture. As a collection of finalists, this year’s crop has produced some very worthy paintings: Sally Ross’s portrait of veteran gallerist Roslyn Oxley looked like a possible winner, with the clean and classical composition a possible nod to Whistler’s Mother. Natasha Walsh’s Self Portrait is a miniature gem, and Yvette Coppersmith’s Rose Burn Self Portrait rewards similar close inspection. I have a soft spot for the eccentricities of Belynda Henry’s Louise Olsen, A Beautiful Summary, and Marc Etherington’s lifestyle portrait of artist Ken Done. 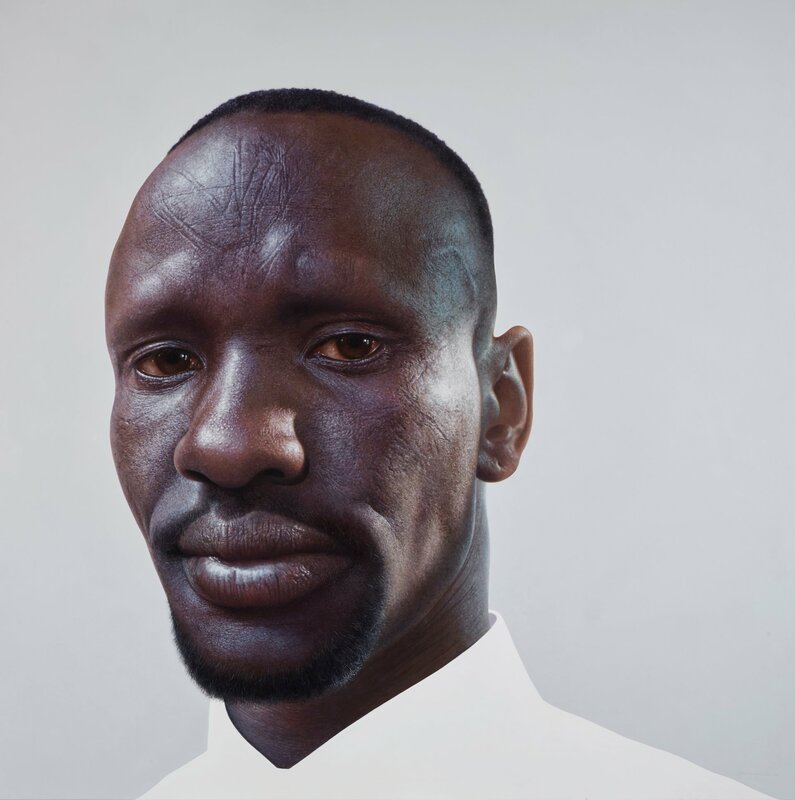 But the real winner of the Archibald in an alternative universe where patience, talent and persistence is rewarded is Nick Stathopoulos’s Deng. Out of the spotlight of the Archibald, the Wynne prize for landscape painting offers some delights. The 2016 winner is The Ken Family Collaborative, sisters Tjungkara Ken, Yaritji Young, Freda Brady, Maringka Tunkin and Sandra Ken, who have produced Seven Sisters: an optically dazzling narrative painting of survival, where older women protect their younger sisters from a bad man. This is a feel-good winner – a picture that has immense visual appeal, and a resonant story. Also of note among the Wynne finalists is Tim McMonagle’s The Admiral – a Hans Heysen tree by way of Dr Seuss ­– and Neil Haddon’s I read ‘The day of the Triffids’ When I Lived in England (and Now I Live in Tasmania), a delightful post-painting nightmare. The Sulman prize for subject, genre or mural painting was judged by artist Judy Watson and the winner, Esther Stewart’s Flatland Dreaming, is a genuine surprise among some not very inspiring finalists. Despite whatever we want the Archibald prize to be, it is usually compromised by any number of outside forces, from the artists who choose to enter it, to the works that get picked as finalists, to the ebb and flow of fashion and taste, both for artists and trustees. This year represents a rare year of gender equity in the finalists but also significant is the generational change playing out in the selection – gone are many of the war horses of past decades, so too many of the worthy academic works, and there’s no discernible fashion for the amount of paint in the picture, or their size. So let’s say well done, and hope that this is the start of something new – and even if it isn’t, let’s all meet back here next year and hope for the best.